Thanks to Mike Hammett for Sharing this with me. For anyone dealing with lots of ethernet connections, be that PoE runs up towers or 48 port switches providing to office desks, hotel rooms etc, we’ve all had to test and troubleshoot connection issues. – Do you get DHCP or can you see other IP’s on the network? – Does the port show any CRC errors? Which in total normally require a whole bunch of tools to run through (or a super expensive fluke network tester ) to test wire pairs, use TDR devices to determine if a wire is broken and if so how far along, then test physical port connectivity and errors. They’ve combined all of the features listed above and made it simple to use by connecting it via Bluetooth to your smartphone. Then on top of that they’ve made it incredibly cheap in comparison to the alternatives. At present they are shipping to the US and EU only, but using a service like shipito you can have it forwarded anywhere in the world, and as they’ve already reached the minimum contribution amount it’s safe to say this project will be going ahead. 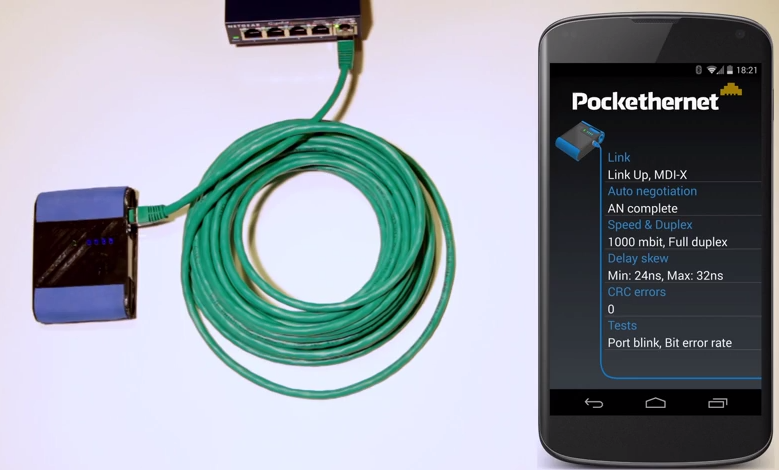 I’m really glad to see a useful project like this take off, it is an excellent innovation and is going to be a very useful gadget for network techs to have in their tool bags. This is a bit of a different post based on some configuration I did just recently to enable the bridging of a Virtual Switch between 2 ESX hosts.